If you find any errors regarding type of wine and vintage, please call our order department at 800-434-9463, or send an e-mail to Customer Service immediately. 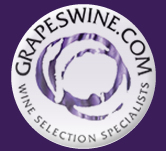 GrapesWine.com will arrange to have the package picked up and returned to us right away for inspection. Once the package is returned to us, we will inspect the contents and then send out a replacement package of top wines to you. Please note, any problems with the receipt of your package must be called in to us within 30 days of the delivery date! If you suspect that a bottle is bad, please just put the cork back in the bottle leaving the contents of the wine in the bottle. We cannot take back any empty bottles! For this reason, it is vital that you let us know of any errors immediately to ensure the fastest delivery of your new shipment. If you wish to return your wine for any other reason you may do so. Please re-pack the wine and send it to "Grapeswine.com, Attn: Returns, 10 Cross St, Norwalk, CT 06851." Please include a copy of the original sales receipt with the package. Please note: All returns are subject to a 10% restocking fee. Thank you for enjoying the best deals on wine anywhere on the web!